When Daimler-owned and Austin-based car2go called, I answered. The ask? 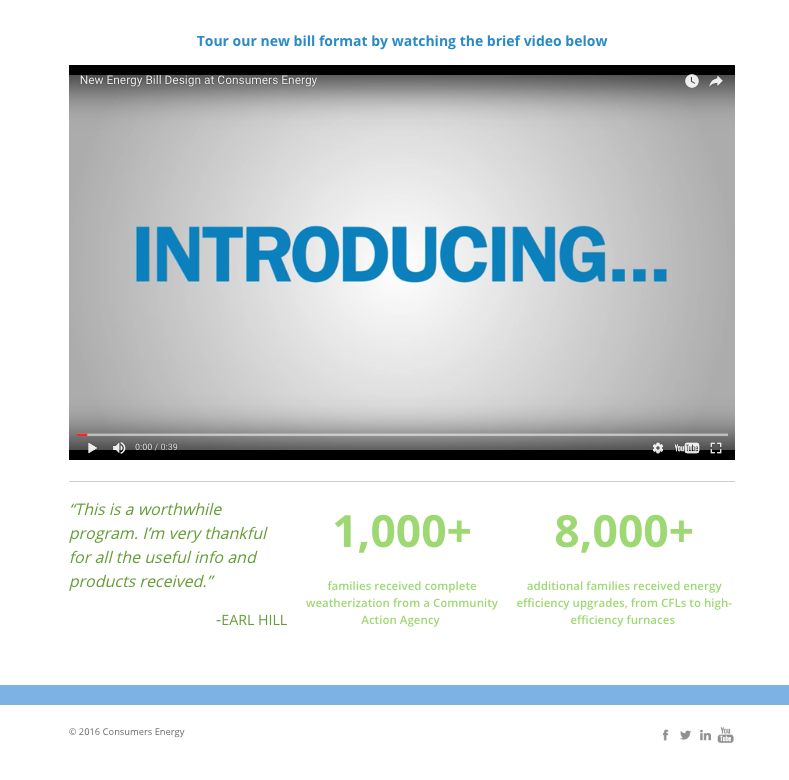 A complete global website rebranding including the creation of a new brand voice, content guidelines and web copy for the entire North America market. Click through the sample pages below. The Bennu Institute focuses on providing preventative care to improve and maintain health by using natural, non-invasive techniques and procedures using adult stem cells to regenerate tissue and muscle. I created a cleaner, more straightforward website to showcase their services and prompt potential patients to seek more information. 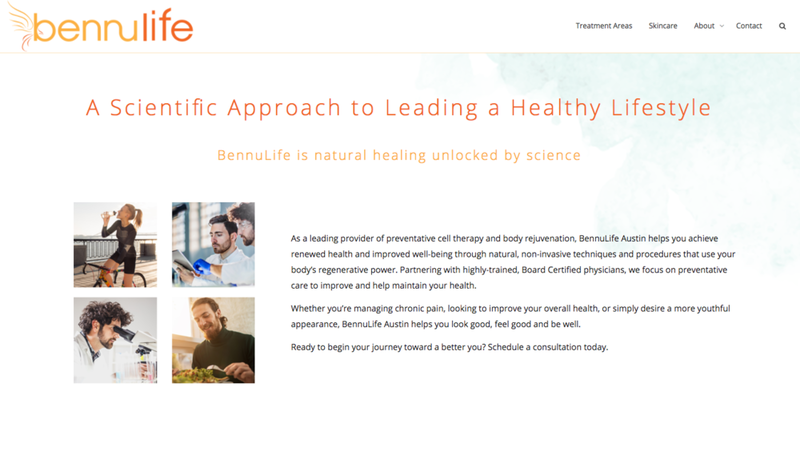 Go to bennulifeaustin.com to see the site active or click through the images below. Consumers Energy was looking to elevate their appearance with a fresh design and neighborly yet, direct tone with the hope of increasing consumer familiarity and reaching more customers in order to make a bigger splash in an already over-saturated energy efficiency market. As lead writer, I created a campaign that emphasized the client's desire to assert themselves as the brand Michigan can count on. 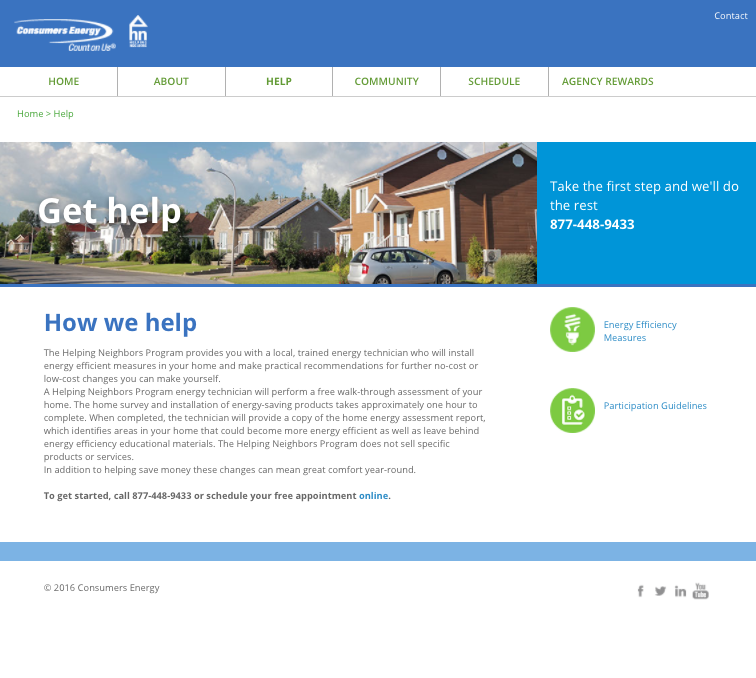 Head over to consumershelpingneighbors.com to take a peek at the Consumers Energy Helping Neighbors site to see more. Mogility Soccer was looking to simplify and streamline their website. The result? A lean, clean website that focused on their philosophy and approach to training Northern California's future national soccer stars.